Cooper Crouse-Hinds has extended its EVI range of explosion protected Ex pendant light fittings for incandescent and high pressure discharge lamps, to include a new LED version. 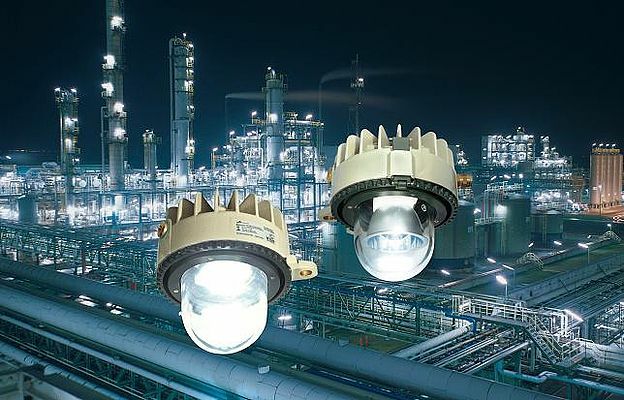 This LED option is certified for use in explosive gas atmospheres (Zone 1 and Zone 2) and explosive dust atmospheres (Zone 21 and Zone 22), in accordance with ATEX standards. The device is equipped with a bright white 32W LED module. Benefits include energy savings over the life of the light fitting, high light output and efficiency, good light distribution for low and medium suspension heights, IR- and UV-free light source, etc.